We understand that some patients experience a tremendous amount of anxiety when they simply think about visiting the dentist. We have designed our office to have a welcoming and inviting atmosphere, but for some people, deep-seated fears can make even the simplest of treatments unattainable. Fortunately, there is hope for these patients, offered in the form of oral conscious sedation. Our midtown Atlanta, Georgia dental practice provides patients with sedation options that allow them to relax throughout their procedures, without the worrisome symptoms and effects of anxiety. Oral sedatives help patients achieve a state of deep relaxation while still being able to answer questions and respond to instructions. If you suffer from dental phobia and would like to learn more about how this exciting approach to treatment can help you, please contact our office to make an appointment with Dr. Donald Ross, Dr. Neal Shah or Dr. David Kim. Oral conscious sedation is administered by taking an anti-anxiety sedative medication prior to your appointment. Our doctors will determine the proper dosage by taking into account your medical history, age, weight, and the length of your procedure. You may be given additional medication if the desired level of sedation has not been reached before beginning your treatment. When the medication has taken effect, you will feel drowsy and relaxed. Oral conscious sedation produces a type of “twilight sleep,” and many patients report having little or no memory of their procedure. Our doctors will closely monitor your breathing and heart rate to ensure your safety during treatment. It is not safe to drive a car while taking sedative medications, so you will need to arrange a ride to and from our office. It is difficult to predict how long the effects from the sedatives will last from patient to patient, so we always advise patients undergoing sedation to plan on resting for the remainder of the day following their procedure. In general, patients must be in good general health to be considered eligible for oral conscious sedation. Patients with dental anxiety and phobia are commonly recommended for this type of sedation, as well as those that have a sensitive gag reflex that may make dental procedures difficult to perform. Patients with painful medical conditions, such as arthritis or back problems, that make sitting in a dentist’s chair for extended periods of time difficult will typically make excellent candidates for oral conscious sedation. Additionally, anyone who is going through a time-consuming or extensive procedure can typically benefit from sedative treatments. 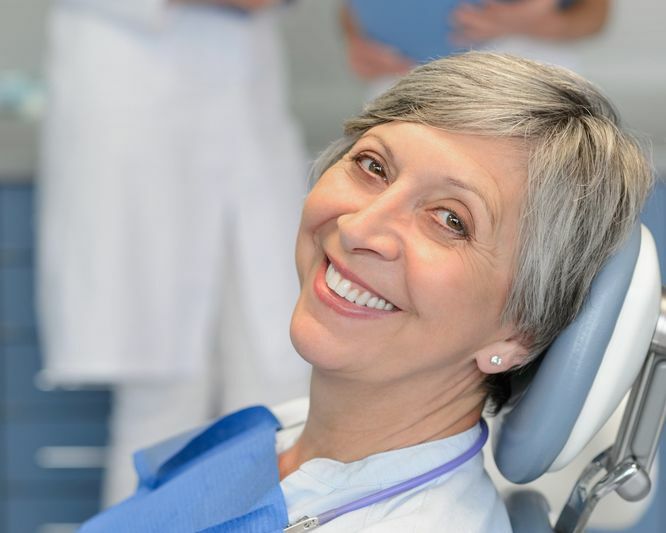 The main benefit of oral conscious sedation is that allows patients to receive the treatment they need when they otherwise may have avoided the dentist altogether. Sedation dentistry allows our patients the option to relax through any type of procedure without any fear or anxiety. You can find out if oral conscious sedation is right for you during a consultation. If you have extensive work that needs to be done, a painful medication condition, or the thought of going to the dentist’s office causes you significant anxiety, please contact our practice to schedule a consultation.